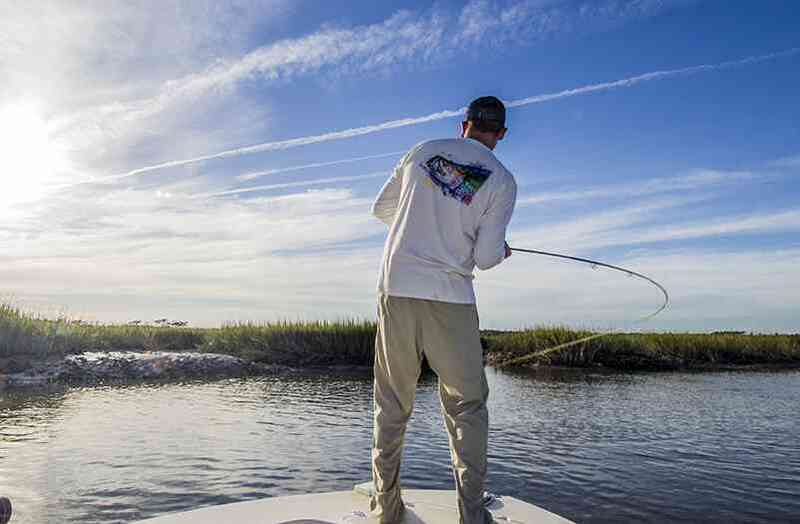 Just to the South of Myrtle Beach lies one of the largest stretches of undeveloped coastline on the East Coast which provides true back country style fishing for anglers wishing to Fly Fish. 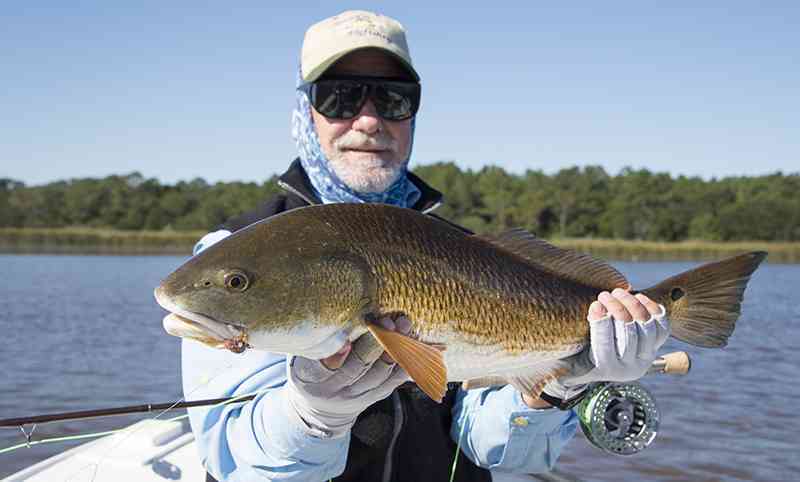 The primary target for fly fisherman in the Myrtle Beach area is Red Fish, which can be caught year around however each season presents different techniques and styles to effectively target red fish on fly. 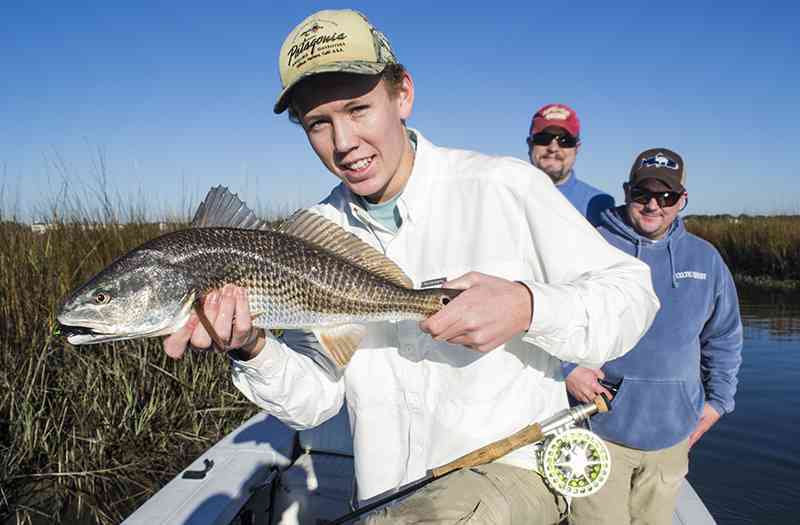 In the Winter months, the water clarity is exceptional and large schools of redfish begin to school up in the shallow creeks and bays. Spring fishing can also be exceptional with water clarity generally still very good, however this is perhaps the most challenging time of year for red fish as Springtime often brings windy conditions. During the Summer months, we target redfish around the lower part of the tide cycle, as well as the flood tides which occur about every two weeks from May-Oct. 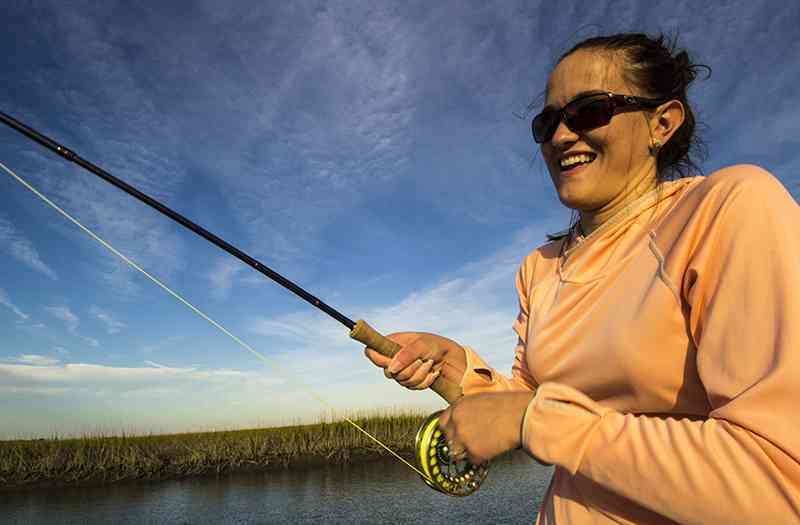 Fly Fishing on the flood tides gives anglers an excellent opportunity to sight fish to tailing redfish as they actively feed on crabs, shrimp, and other critters. As water temps begin to cool in the Fall months, redfish begin to feed aggressively on the large amount of shrimp that are in the shallow estuaries and this is the time of year where they are most aggressive and willing to take a fly. Our equipment consists of 7wt, 8wt, and 9wt outfits from Orvis and nearly all of our fly fishing charters are out of the 16ft Flats Boat which allows us to reach fish in shallow water. All flies are hand tied by Captain Jordan who puts local knowledge of red fish behavior into each fly pattern he ties. While all fly fishing equipment is provided, anglers are welcome to bring their own equipment. Other species we will target while Fly Fishing in Myrtle Beach are speckled trout, spanish mackerel, tarpon, cobia, sharks, and just about anything that swims in our water that is willing to eat a fly!